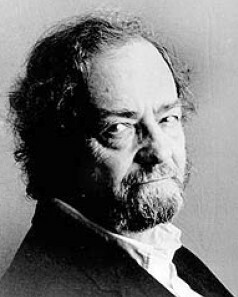 Donald Hall (b. 1928) was born in New Haven, Connecticut. He began writing poetry and fiction at age 12 and published his first poem at age 16. He received his B.A. from Harvard University, where he met Robert Bly, Adrienne Rich, Kenneth Koch, John Ashbery, and Frank O'Hara. After Harvard, Hall studied at Oxford for two years and became the first American to win the Newdigate Award. When he returned to the United States, Hall published his first collection of poetry, Exile (1952). His 1955 collection, Exiles and Marriages, won the Lamont Poetry Prize from the Academy of American Poets. He has published 14 volumes of poetry, including The Happy Man, (1986), winner of the Lenore Marshall Poetry Prize, and The One Day (1988), which won the National Book Critics Circle Award, the Los Angeles Times Book Prize, and Pulitzer prize nomination. In addition to his poetry, Hall has published several biographies, essays, and books of criticism. His honors include two Guggenheim fellowships, the Poetry Society of America's Robert Frost Silver medal, a Lifetime Achievement award from the New Hampshire Writers and Publishers Project, and the Ruth Lilly Prize for Poetry. Since 1975 he has taught English at the University of Michigan in Ann Arbor.